Win a Great Day Plate™ for your little one! Our Great Day Plates have been WILDLY popular lately as back to school time approaches! 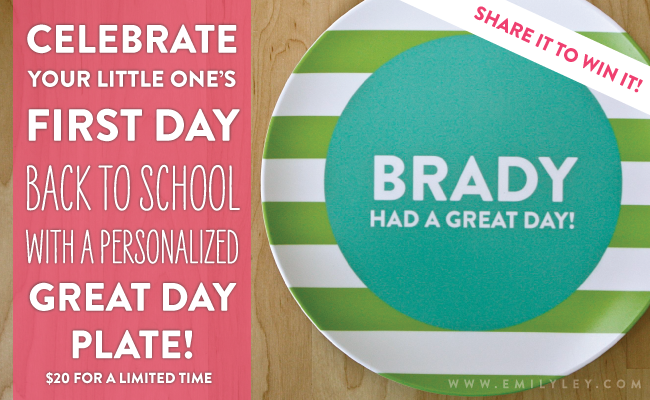 Celebrate your little one’s great days with a personalized Great Day Plate™! Each plate is 10 x 10 and is personalized just for them. For a limited time, our Great Day Plates are only $20!